You commit to decorating a room and you buy all the big important pieces. You work out your colors and fabrics and fit it into your budget. You’re excited as it all gets delivered and you set it up and live with it. But after a few months you realize there’s one eyesore in the room you completely ignored because you already owned it and didn’t think you needed to spend valuable budget money on replacing it. Except now it’s driving you crazy that it’s dragging the room down. So now I’m in the market for a new coffee table, but with a kitchen renovation on the horizon, it’s not something I want to spend a lot on. An option is to go vintage and there are several wonderful websites to search for that. 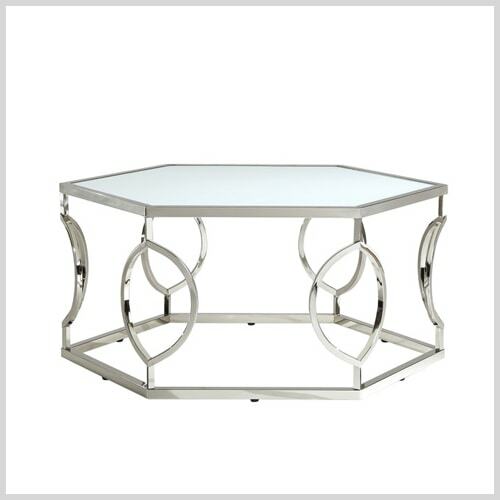 Viyet, has a variety of used, nearly new and vintage cocktail and coffee tables. 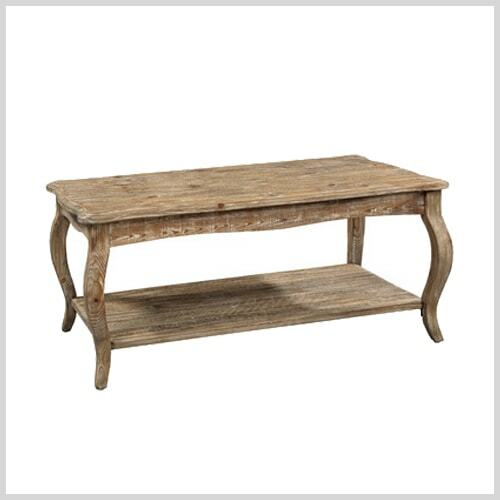 And of course there’s always ebay’s selection of French Country tables, as well as Etsy’s eclectic options. 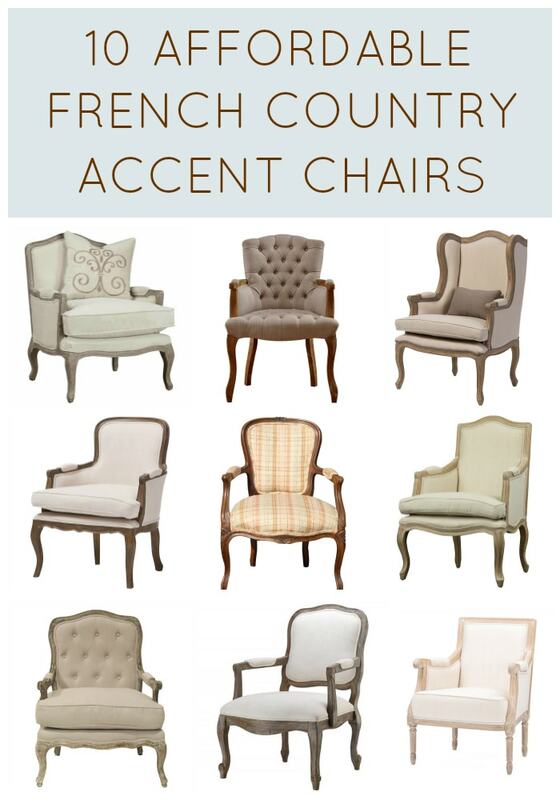 But if I decide to go with new, there are plenty of choices that would fit with my French influenced style. 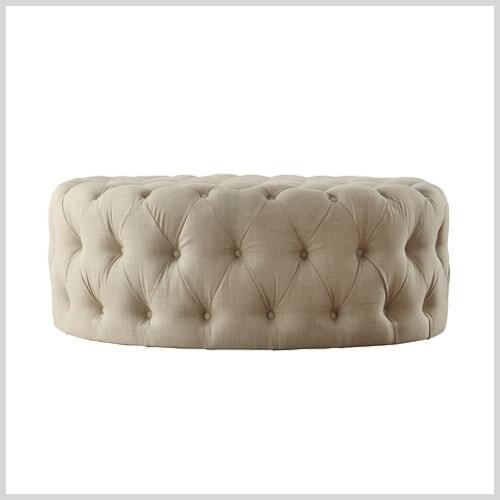 I’ve picked out 12 affordable stylish coffee tables that could potentially work in the room. I’d love your input on which you think would work best, so please let me know in the comments. You can click on the items below for direct links to the products. Surprisingly my favorite is the least expensive, Alina. It’s airy and unobstructive. It would be beautiful on any carpet and the metallic finish reminds me of jewelry! Great shopping! I’m actually leaning towards glass or maybe marble top, but I think I’d go brass in this room rather than chrome, because of the warmer tones. Yes, #12 is perfect, but #6 would be my second choice in your room! Good luck! I like #12. It reminds me of your little phone table. I also like the round #5, and #8 but 8 might cover too much of your beautiful rug. Hum? Decisions, decisions. It will be fun seeing what you pick and it will be perfect, I’m sure. This is so fun to see people’s choices! I think people might be surprised with my ultimate choice (although I genuinely haven’t decided yet) because I need to consider function and shape, as well as look. So I’m pretty sure I will go rectangular and I agree I want to be able to see the rug. One of my concerns with 12, which by itself is my clear favorite, is that in this room, it actually might be too white. Yep, 10 is definitely one of my faves, although I prefer brass to pewter. I’m dawn to #1, Spacek. 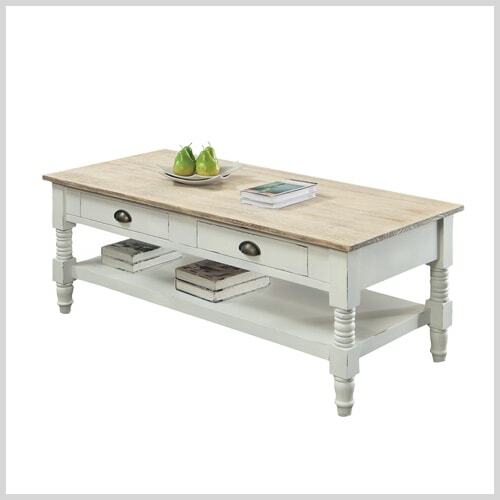 Have you considered a DIY project with your existing table. sanding, chalk paint, adding decorative flourishes to the corners, Rub and Buff. Wa La! ( inspired by your desk). I love #1. It’s a little out of the ordinary for me, but I’m looking for a bit of a modern kick, I think. I definitely want to start painting furniture – I haven’t done any yet, but I am a trained artist, so I should be a natural. I’m not sure I like the lines of the existing though, for this room. What I may do is refinish it for the lower level (nice way of saying basement… ;-)) because I’d like to decorate the basement to use as regular living space. Thanks for the feedback! If you can’t somehow rationalize why you MUST have #12, I think #11 would look great in your room. 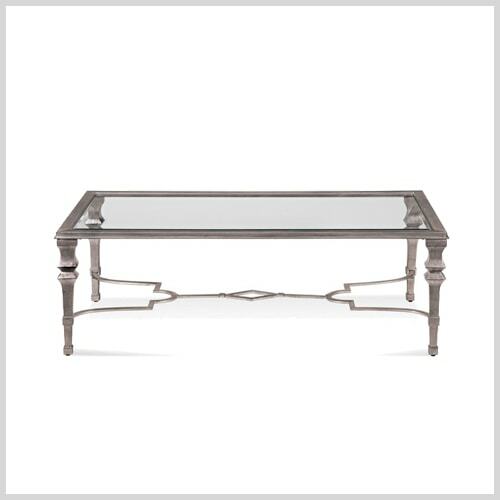 It’s graceful French look and the glass top would bling it up a bit and not take up visual space. And if you had a nice equal thickness piece of glass cut, beveled–you could place it on that pretty bracket and have 2 shelves. Ahh, 2 shelves to style over and over…….. I meant #10. Obviously #11 doesn’t have a glass top! #5 Sebastian – would be great in this room although I don’t mind the one you have. That one is pretty! But I’m not sure round is the right shape and that’s what would hold me back on that one. 10 has a lovely airy french feel but I can also see why 12 would be your choice,I guess your best choice would be if you didn’t know how much each of them cost and you went purely on which would give you that frisson of pure pleasure each time you saw it. If it was a question of cost then I feel it’s always better to have to wait a little longer, then, spend the extra money and enjoy the anticipation of purchasing something you really love. The interesting thing about #12 – by itself, it’s my clear favorite. No question. But I’m not sure it’s right for the room, regardless of price. There are 2 issues – one I think it might be too much white (not that I don’t love all white rooms, but the rest of my room isn’t all white). The second issue is, I think I may want to inject some newness into the room – not to get away from French Country, but to give it a bit of a modern edge. So I’m leaning glass top or marble. 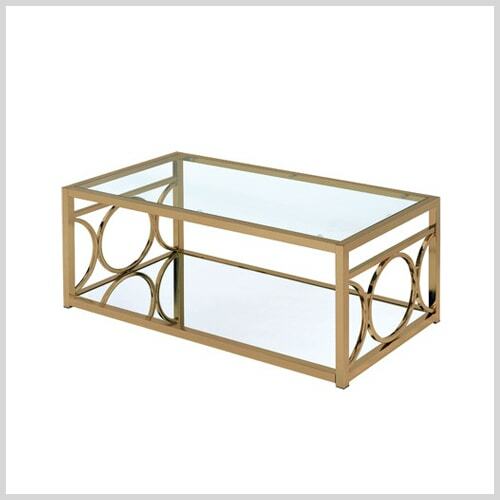 I think the Spacek coffee table would look best in your room. 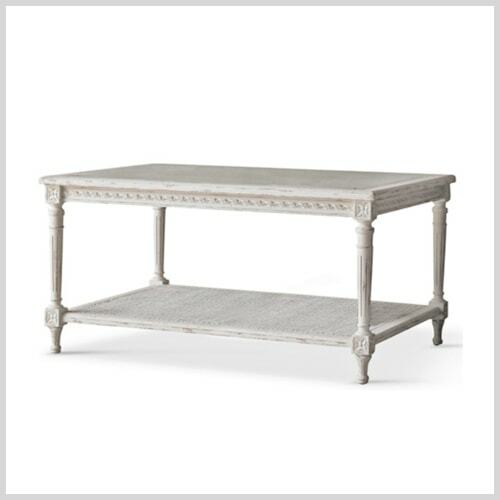 Personally, I could never have a coffee table with a bottom shelf because my husband is extremely tall and he needs a lot of leg space under/around the coffee table. However, I do like the bottom shelf, the fact that it is mirrored, and the bling of the gold! Yep, I’m with you. I like the extra shelf and I do think I want gold. And we’re no giants in this house, so that’s not a problem. There is one more brass and glass one that I couldn’t find the photo for when I did this. It has 2 shelves, actually, so I’m considering that one too. I love the idea of the ones that are metal and glass OR stone! #10 would be my choice. Can’t wait to see what you choose. 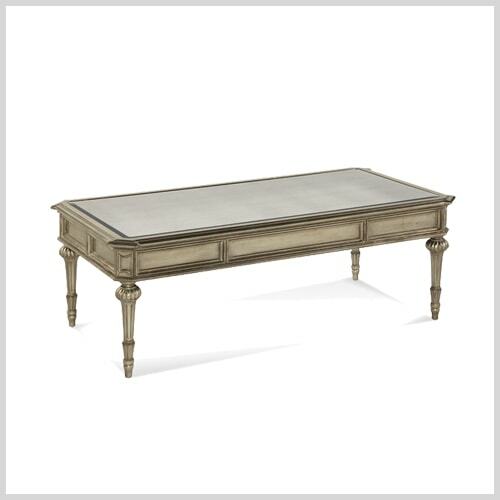 I’m really wavering between this Gustavian style and doing a more glammy brass and glass. Genuinely haven’t decided yet. So fun seeing what other people think… 🙂 Thanks for weighing in! 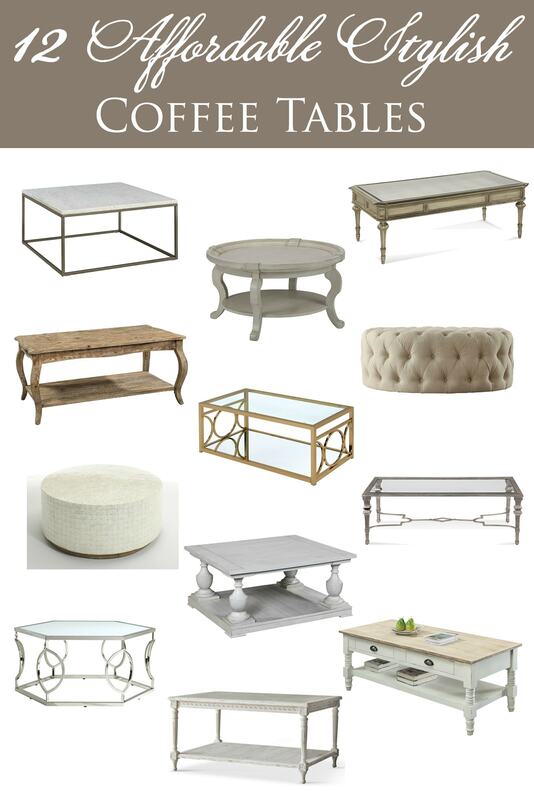 Love these coffee tables! 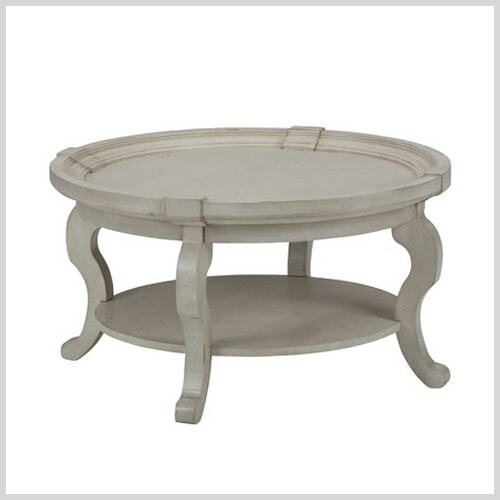 Coffee tables can be used to enhance the overall appearance. Your collection is really great. It’s difficult to choose one. Thanks for sharing. I love that round table! How cool. I love that tiled look. It could go with just about anything. Absolutely love marble so my favorite is the marble top. I think marble always gives a cool look to a room! All of the coffee tables were so cute! #4 is my personal favorite. loved this post! 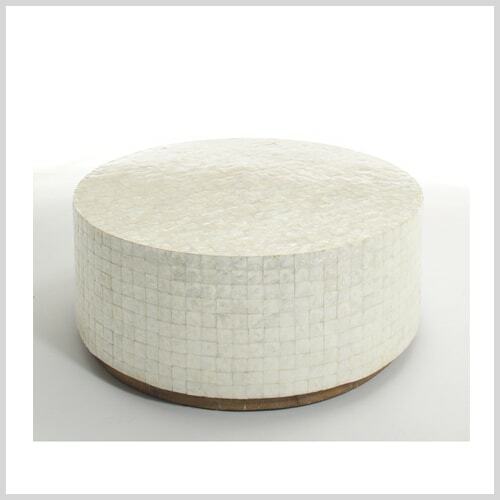 Oh I really love the design of the drum tables. Great for get togethers and can fit a pretty sizable party. 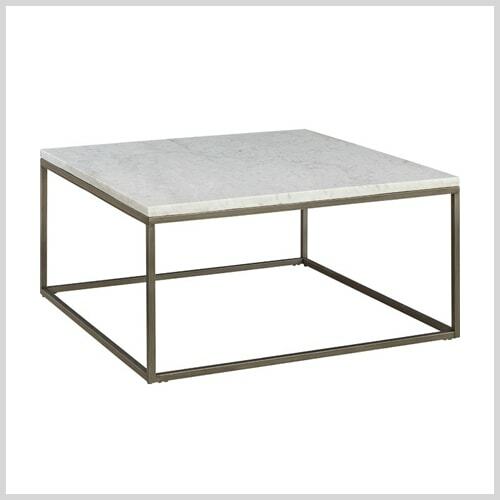 I absolutely love the idea of a stone table! I love anything that is unique and different! I’m obsessed with #7. It’s so clean and crisp; definitely my style! The Spacek coffee table is so lovely. 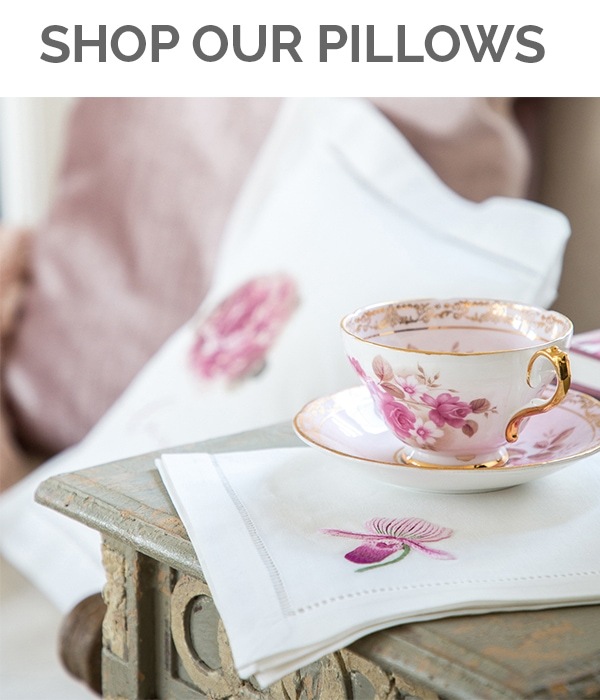 Beautiful blog with gorgeous recommendations! That square marble top coffee table is calling my name! All of these pieces look amazing, I have a soft spot for any Viyet piece. I love these! A coffee table can make the entire room. Great suggestions on here, I’ll definitely be looking more at some of these! I just recently moved and unfortunately, my coffee table is in need of replacing. Gorgeous ideas, thank you! Loving the glass top coffee tables! Definitely my favorite style. 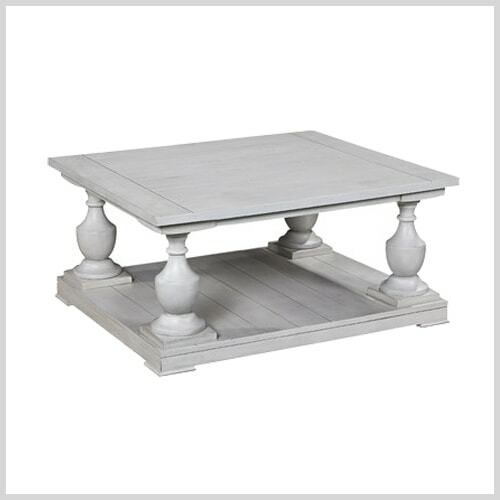 That vintage Palazzina table would go perfectly on my back porch, I’m in love!